Mannatech by Samuel L. Caster and Dr. Robert A. Sinnott, found at mannatech.com, is a multi-level marketing that distributes self proclaimed health cures. This claim has plagued them with legal problems. At one point Mannatech was one of the top small companies among the business press and media. Their downfall began with a class action suit that challenged Mannatech products and their claims of outrageous cures without any scientific proof to back them up. Moreover, an investigation by the Texas AG that resulted in very hefty fines added to their woes. That and a major lawsuit by the parents of Mannatech’s poster child who died soon after being put on its products. Millions of dollars in settlements later, they restructured for compliance on toning down the falsehoods. 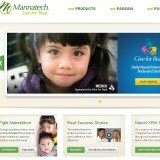 Some scientists have gone on record to say they don’t recommend Mannatech’s supplements for any health purpose at all. Mannatech filed a patent that listed more than fifty diseases or conditions that can be cured, mitigated, treated, or prevented by using Mannatech’s products, and this got them into those problems. In addition, many of Mannatech’s representatives published websites with completely false statements of patients with severe illnesses being cured with its products. Mannatech and these reps were charged and fined. Mannatech did very little to punish their reps on top of all this. However, I can’t outright deem it a scam, since some, though few, are making a little bit here and there. Again, mind you, some of those making that Mannatech money were there from the beginning. By now, it’s not likely you will make much from Mannatech so far down the downline. Their products are so over priced that if you don’t feel guilty for trying to sell it to your friends and family there might be something wrong with your conscience. With all the issues Mannatech has under its wings, and the fact that 97-99% of the people that participate in MLMs fail at it, I have to say, this one is a dicey proposition at best, which is to say, I do not recommend it.